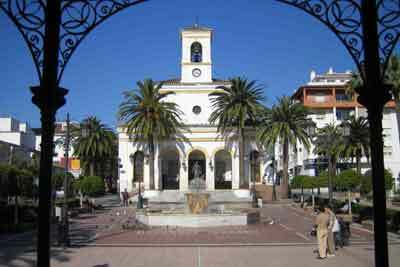 IT used to be little more than a shabby town with a bus station approximately half way between Marbella and Estepona. But the forgotten Cinderella of San Pedro Alcántara has suddenly found itself invited to the ball that its other Costa del Sol rivals have been enjoying for years. After half a decade of disruption installing an underground car park, a new seafront promenade and, most importantly, its now-infamous 85 million euro underpass, San Pedro has suddenly emerged re-born, and with a distinct new swagger. A rediscovered destination for tourists and businesses, the once workaday suburb of Marbella is finally coming into its own. There is a definite buzz about the place, and although it’s easy enough to walk around the town in little over an hour, there is more than enough to keep the visitor entertained. But first, a little history lesson. Compared to the towns that surround it – Marbella, Estepona and Benahavis – San Pedro really is the new kid on the block. General Manuel Guiterrez de la Concha, the first Marques de Duero, came up with an ambitious plan to convert land to the west of Marbella into agriculture in the middle of the 18th century. Aided by the Re-population Laws, the good general founded the farming colony of San Pedro Alcántara. The colony took its name from the general’s devotion to the patron saint of Extremadura San Pedro, as well as in honour of his mother Lady Petra de Alcantara Irigoyen. In the years 1860 to 1870 new crop systems where put in place and thousands of hectares were drained and ploughed. New irrigation systems and reservoirs were introduced, some of which are still in use and the settlement grew in stature. In addition to the main village the nearby smaller settlements of Cancelada and Cortes were also established, and workers from Valencia, Murcia, Granada and Almeria were recruited to help work the land. The town carried on in a sleepy agricultural kind of way until the mid-40s, when street lighting and cleaning were introduced and the main road was paved in the 50s. Tourism soon followed and San Pedro grew quickly, resulting in Marbella Town Hall opening a special office to deal with the paperwork and transactions. This has since become something of a sore point. 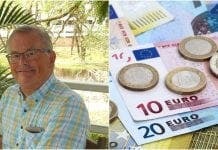 ‘Sanpedreños’, as they are known, feel decidedly independent of Marbella and have repeatedly called for their own municipality, a call that has fallen on deaf ears just up the coast. A stroll around confirms that San Pedro really does seem to encapsulate what is great about living on the Costa del Sol. The newly renovated promenade is easily one of the best on the coast with statues, exercise machines and chringuitos and swish beach clubs rubbing shoulder to shoulder. The paseo has been the scene for an art and craft and natural living festivals, concerts and even (bizarrely) a reenactment of the Normandy landings. If you are feeling really energetic and have the time it’s possible to walk all way to Marbella along the walkway and at the very least you can get to Puerto Banus in a quarter of an hour. Head back into the centre itself however, and you’ll find yourself walking along well kept roads between neat urbanisations with cycle paths, impressive fountains and even a large fishing boat as a piece of public sculpture. At the bottom of the main road, next to the inevitable roundabout, you’re standing on the roof of the San Pedro tunnel, the one piece of infrastructure that has transformed the town. Taking twice as long as planned and three times over budget it has however created a quiet, largely pedestrianised centre and a much easier walkway down to the beach. Although this area is currently a muddy impromptu car park, the authorities have plans to put in green areas with parks protected from the elements by giant sails. When completed it will be a fabulous area to enjoy the sunshine, and several restaurants with large terraces have already opened in anticipation. One of these is the popular Rincon de la Sala, which was opened by owner Ian Radford with the help of some of his professional footballer friends, including David Bentley and Stephen Carr. 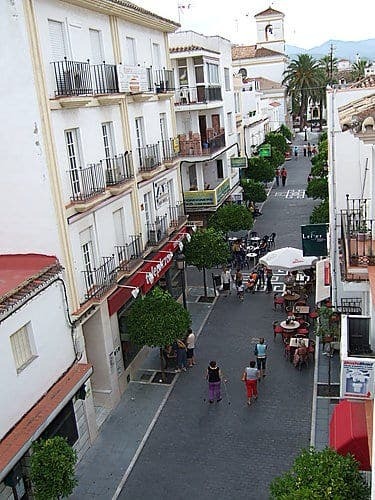 There are certainly plenty of shops heading up the main street, Calle Marqués del Duero, which is partially pedestrianised and leads up to the main square and church. It bustles with restaurants, bars, cafes and ice cream palours and really underlines the surprisingly international nature of the town. There are Irish pubs, Asian restaurants, Cuban Mojito dens, Dutch bars and even a great value Filipino restaurant complete with game shows direct from Manila blaring out from the giant flatscreen all next to authentic tapas bars and Spanish restaurants. Best of all, the town has thankfully avoided the hordes of TOWIE wannabies and Stag and Hen parties that plague nearby Puerto Banus and therefore has a more relaxed and family friendly feel. There is even a Moroccan barbers, where this unkempt reporter had a trim and a shave courtesy of the extremely hospitable Jamal! The main square is dominated by the church, where Tony and Cherie Blair were spotted at mass a few years ago. Have a coffee up here on a sunny Sunday afternoon and you’ll realise why it’s nicknamed ‘Plaza de las Americas’, with central and south American workers enjoying the afternoon off. A bandstand in the plaza is an occasional venue for open air concerts, with the El Ingenio Cultural Centre on the western side of town also putting on all kinds of performances including flamenco, funk to comedy and serious drama. If you fancy being a little more energetic with your spare time then there are plenty of sporting options. Golfers have the nearby Guadalmina Alta and Guadalmina Baja courses to choose from, and there is also a municipal driving range. If you want to go water skiing, but haven’t got your own speedboat, then head to the cable ski next door, it’s the only one for 100 miles. The Nueva Alcantara Club has excellent tennis and padel facilities and San Pedro once also boasted its own baseball team, the Sun Devils. But if you’d rather just cheer on the local team, UD San Pedro plays in the same division as both Estepona and Marbella, which makes for some tasty local derbies. There are all the usual shops and services that you would expect in a town this size (approximately 26,000 inhabitants) and the town is also nowadays a petrolhead’s paradise. It’s home to several supercar garages selling dream machines such as the top-of-the line McLaren, Ferrari, Bentley, Pagani and Mercedes, while if your thrills are more on two wheels you can even get your chopper custom designed and built. Of course, the catalyst for the return of the feel good factor in San Pedro was the opening of the underground tunnel. Previously the area was a notorious traffic black spot producing huge delays. 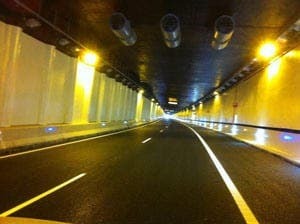 The tunnel and its supporting network of roads into the town and also up to Ronda has had a huge impact, a fact that was underlined at the official opening last year. 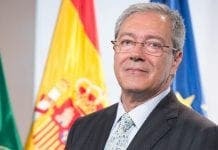 Marbella mayor, Ángeles Muñoz, was joined by the Minister of Development, Ana Pastor and stressed that it was a ‘big day’ not only for Marbella, ‘but for the entire Costa del Sol’ adding that the infrastructure would aid ‘tourism development’. As Irish restaurateur Malcolm Spendlove, the owner of Passion Cafe and the recently opened Mr Gourmet Burger, explains: “My advice would be to come on holiday here. San Pedro Alcántara might have come late to the party, but she looks like being the belle of the ball. Nice article Giles! You are right, it’s time to talk up San Pedro after a decade of ‘obra’. First the underground parking, then the tunnel. I am an expat Sampedreño, having lived in SP for 12 years & it’s good to see the confidence coming back, albeit tempered in the face of an awful economic climate. For the life of me though, why did the Ayuntamiento start the tender process for the design & construction of the public area on top of the tunnel AFTER the tunnel was built?!!! Could this not have been carried out during the FIVE years it took to build it so as to commence work as immediately as possible? What I’m really saying is that I can’t wait until it is finished & the ‘locales’ around the old bus station are all accupied. By then there should be even more vibrancy about the place.